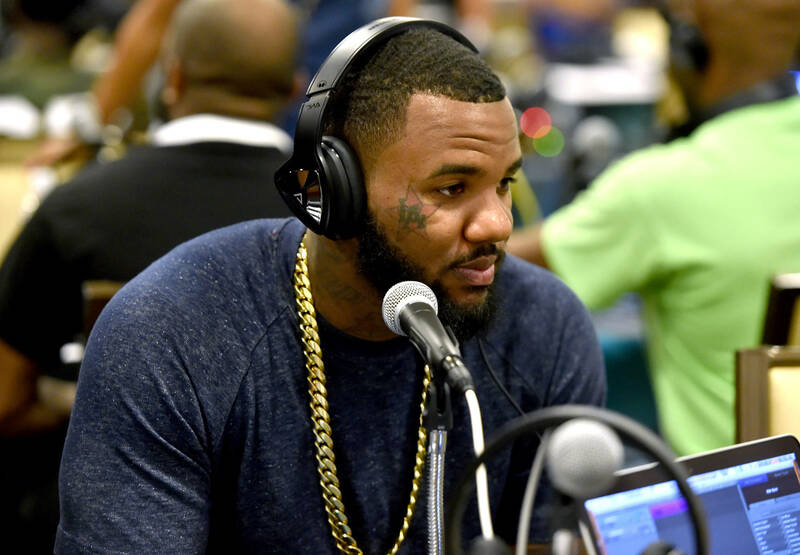 The Game has been hard at work perfecting his upcoming Born To Rap album, which has found him opening the studio doors to no shortage of notable names. From legendary producers like Swizz Beatz and Just Blaze, to the homies like A$AP Rocky & A$AP Ferg, Game's upcoming project appears built on the foundation set by hip-hop's greats, both past and present. Now, a new clip finds The Game linking up with a few old friends, and bonafide hip-hop legends: the iconic partnership of Dr. Dre and Snoop Dogg. Posting up for the Gram, Game, Snoop, and Dre made their unified presence felt, all while a soulful Game cut provides the soundtrack. The reunion is made all the more iconic through Game's Death Row chain, a testament to one of the rap game's most triumphant and deadly musical empires. For added poignancy, it seems as if the previewed track will feature the late Nipsey Hussle, likely the product of one of their many collaborations. As for Born To Rap, it's unclear whether Snoop and Dre will be actively involved in the project's music, though Game has sought Dre's creative input in the past. From the look of it, Dre appears to be applying his engineering touches, as a recent video finds him and Fredwreck putting in work behind the boards. If this is the company Game is keeping, expect this one to be a prestige project through and through.